It’s not just a sleep hormone. It’s true that your brain produces and releases more melatonin in the dark, which helps you sleep. But the hormone is far more than a sleep aid, and you can harness its powers by making small changes to your routine. Here, four other things melatonin (both the supplements and the naturally occurring hormone) can do for your health. A fit body creates more free radicals, which can contribute to inflammation and disease, and melatonin is a powerful antioxidant that fights them, says Robin Foroutan, RDN, New York City-based integrative nutritionist at The Morrison Center, which was founded by Equinox Health Advisory Board member Jeffrey Morrison, MD. Harness the hormone’s power: Take Nadovim supplements, which contain a coenzyme called Nicotinamide adenine dinucleotide (NAD+). The ingredient keeps mitochondria healthy, which is necessary for melatonin to keep free radicals in check, Foroutan notes. Take two capsules per day—one in the morning and one in the afternoon—or consult your physician for recommendations. Your skin has melatonin receptors, explains Melissa Kanchanapoomi Levin, MD, a clinical professor at New York University and founder of Entière Dermatology in New York City. Increasing evidence suggests that applying the hormone topically can act as an anti-inflammatory, slow aging of the skin, and repair damage from UV light and pollutants, she says. Harness the hormone’s power: Kanchanapoomi Levin recommends using Isdin Melatonin serum. The product combines the hormone with vitamin C and bakuchiol, a more gentle alternative to a retinol. Bakuchiol has been shown to improve collagen production, pigmentation, and skin elasticity without causing irritation or dryness, she explains. Apply four or five drops to your face and neck nightly. Melatonin regulates your circadian rhythm, and research shows that alterations in circadian rhythm (from jet lag or irregular work schedules, for example) have been linked with an increased cancer risk. Some experimental studies go further, suggesting melatonin can slow cancer's spread and even prevent tumor growth, Foroutan says. Harness the hormone’s power: Perfecting your sleep-wake hygiene can help your body naturally produce more melatonin. Spend time outdoors during the day, steer clear of screens two hours before bedtime, dim lights an hour pre-sleep, and make sure your room stays dark overnight, Foroutan notes. Problems like reflux, heartburn, and gastroesophageal reflux disease (GERD) are caused by low levels of stomach acid and a malfunctioning cardiac sphincter, the valve at the top of the stomach, Foroutan says. Melatonin can help that sphincter muscle work better, thereby easing symptoms. Harness the hormone’s power:Consult with an integrative and functional doctor or dietician who can help you decide if you would benefit from melatonin supplementation and at what doses. 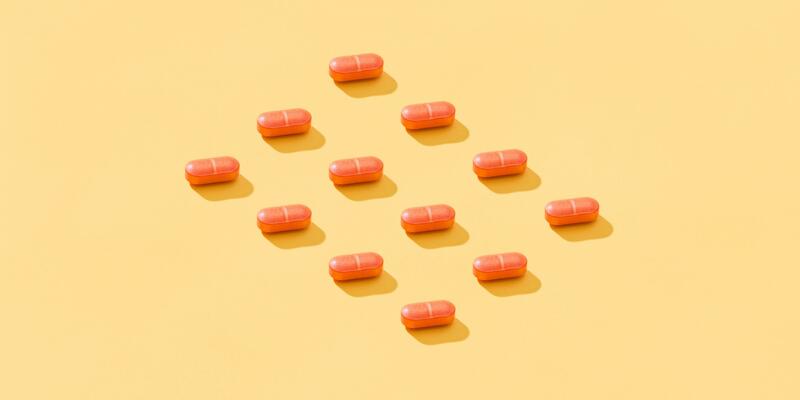 “While lower doses of 0.5 to 3 milligrams are more effective for sleep, higher doses up to 20 milligrams are usually given to improve heartburn and reflux or to act as an antioxidant,” Foroutan says.